While we all love to enjoy summertime activities like gardening, picnic, backyard barbecues and playing with the kids in the yard, many of us across the country have one thing in common: Tiny mosquitoes can sometimes be HUGE troublemakers! Not only do they annoy us with their buzzing and itchy bites, but they also transmit various diseases. So, it is a good id ea to try to get rid of these pests near your home. You certainly won’t miss them when you are enjoying your favorite backyard activities. Begin by eliminating standing water. Mosquitoes need less than one inch of standing water in which to lay their eggs. Make an effort to eliminate standing water around your home by emptying bird baths or fill them with fresh water daily. Dump out buckets and pales of standing water. Cover or store things that tend to catch and hold water in your yard or on your back porch like empty flower pots, patio furniture or the kid’s plastic toys. Wading pools, dog dishes, sandbox toys and old tires are all great places for water to collect that will attract mosquitoes sooner or later. Also check your yard for areas where water tends to stand after a rain or after you’ve used the hose or sprinkler. Whether it is in a flower garden or the middle of your yard, areas that hold pockets of water should be leveled with fill dirt to prevent standing water. Finally, check your gutters. Clear any debris from your gutters as clogged gutters are an attractive place for mosquitoes. While water is a main mosquito attraction, they can be found in dry spaces and places that provide cover during the day. Shrubs, bushes and ornamental grasses are wonderful for landscaping, but they are also a wonderful place for mosquitoes to congregate during the heat of the day. Keep your shrubs trimmed and your lawn mowed. Remove weeds as well. 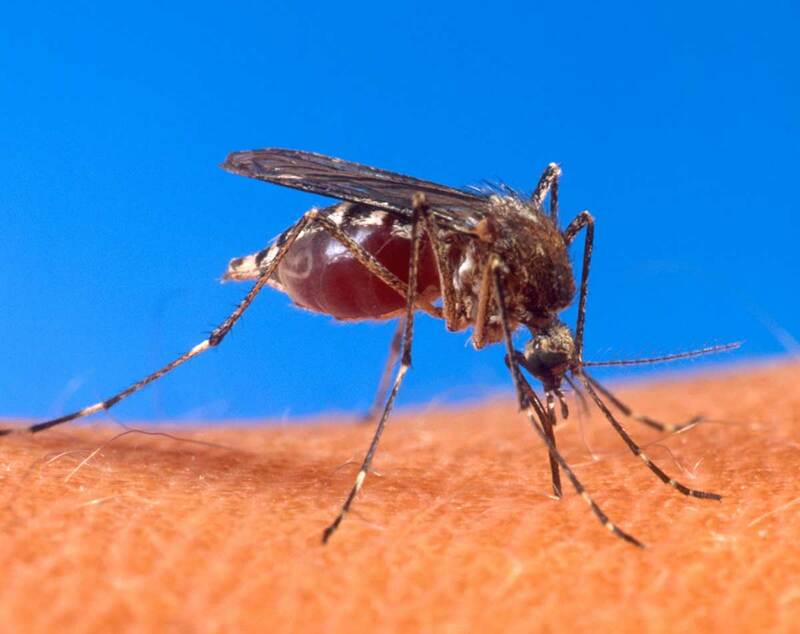 All of these things will attract mosquitoes to your backyard if left unattended. Consider natural insect repellants for your backyard. Some plants are natural repellents for mosquitoes and other insects and they blend nicely with other landscaping vegetation. Consider planting catnip, rosemary or marigolds. Using electric outdoor fans on your patios and porches or burning citronella candles when outdoors will help create an environment that isn’t very inviting to mosquitoes. If you create an unfriendly environment for mosquitoes, you’ll actually increase your own outdoor comfort level! At night, turn out porch lights if it isn’t necessary for them to light your porch or entry. Porch lights will attract mosquitoes and other insects after dark. You only need to open your front door one time while these critters are swarming around your porch light, and you’ll quickly have some winged and buzzing guests inside your home. If you need to have the porch light on at night, consider using LED bulbs. These bulbs do not put off as much heat at incandescent bulbs and are therefore less inviting to mosquitoes. Additionally, check window screens for holes and repair them to keep mosquitoes from entering your home. With a little effort, you can make your home and backyard a little less mosquito friendly and a lot more people friendly.